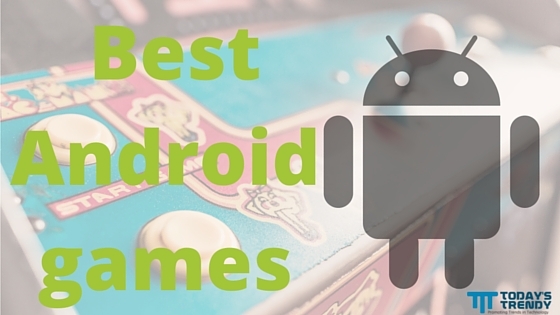 We are back, yet again, with our monthly series of the best Android games. Following five (in no particular order) are the ones we played and liked this month. Make sure not to miss any. CATS: Crash Arena Turbo Stars is an action game that has nothing to do with the feline creatures. Rather, it lets one build a perfect battle bot which shall be used in fighting against other players, both one-on-one as well as world tournaments. It is not about the action per se since the fights are automatic and the winner is decided based on how capable the machine is. That said, one can still watch the battle action to see how their bots perform. Daily Solitaire: Poker Saga is a card game produced as a result of fusing Solitare and Poker. It is a single player Poker game. One needs to select as many cards from the five presented during any turn. The chosen ones are then replaced with new cards. The result will then either be a valid poker combination or not. If it is, you get points. Simple as that. Each level ahs an objective to complete regarding types of combinations to make. Fun Run 2 - Multiplayer Race is a multiplayer racing game wherein the player's avatar (an animal) races with others. There are various race tracks, each having unique obstacles and difficulty levels. Really Bad Chess is a modified version of the famous board game. The player plays against the bot in each level, but the pieces on either side are totally random. In the beginning, one usually starts with three or more queens, while the bot may not have even one of those. In future levels, the game becomes hard since the random pieces start favoring the AI. It is not that bad, really. Wizard of Oz: Magic Match is a matching puzzle game from the house of Zynga. It is similar to Candy Crush. The first few levels serve as a tutorial. Each new level tries to introduce a new kind of move, but if one attempts to make a move before being taught, it is not restricted! Also, up to level 4, the target is to achieve a particular score, but the game runs for the number of allotted moves irrespective of whether the target was achieved or not. This sounds like a bug, though I am not sure if that was intentional. Did you come across any other exciting game? Let us know in the comments below.